If what has been discussed during the recent forestry conference held this in Samtse materialize, then several forestry institutions will undergo major reforms and reorganization. Such moves are expected to improve and enhance forest service delivery and forest governance. For instance, the conference noted that there is need to redefine the roles and institutional arrangement of Dzongkhag Forestry Sector. The sector was established in 1994 with its primary mandate to implement the decentralized forestry programmes in the dzongkhags. The sector, manned by the forestry extensions, engages in taking forestry services closer to clientele. This is done through its involvement in issuance of subsidized rural timbers, promoting community and private forestry. Besides, the sector also initiates plantation of seedlings and other social forestry activities. However, the conference participants expressed that the mandate has never been revised and the old mandate is no more applicable with the changing time. “The mandate has never been relooked, rather it has remained same,” said one of the Dzongkhag Forestry Officer present at the conference. He went on to say that the Dzongkhag Forestry Sectors has the largest share of qualified rangers since most of the rangers trained from College of Natural resources are placed directly at the dzongkhag. Therefore, some participants felt it was a case of underutilization or waste of human resources. Moreover, participants also shared that the sector staff are engaged more in protocol and Chadi activities than the implementation of forestry activities. “Most of the time, dzongkhag has to prepare for VIPs visit, events and cultural activities, which engages the sector staff.” Hence, the participants said, there is not much of time to implement forestry activities. On the other hand, there is acute shortage of qualified staff in the territorial division and park offices. It is felt that the functional divisions have more technical officers in comparison to field offices. The reform and reorganization is also expected to help rationalize the structure and strength of field offices. During the conference, participants expressed the need to explore the possibility of consolidating the three field institutions of Department of Forests and Park Services (DoFPS) such as Territorial Forest Division, Park Management and Dzongkhag Forestry Sector. 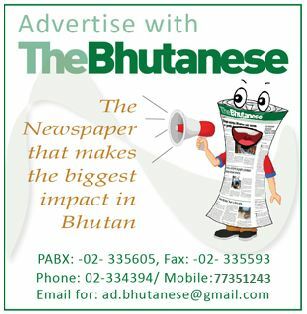 While some participants opined that there is no necessity for such reform, atleast at this point of time, it was the majority of the house who felt that the department would function and be able to deliver services more efficiently if the Dzongkhag Forestry Sector could be integrated within Territorial Divisions and Park Offices. This, they said, is because the major mandates, in terms of forest service delivery, rest with Territorial Divisions and Parks. 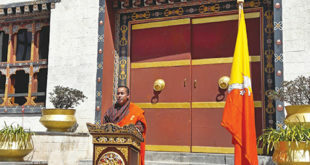 “So, there is an overlap, in terms of implementation of field activities, between Dzongkhags, Territorial Divisions and Parks,” explained a forest official. In addition, the conference also deliberated on redefining forest research priorities and institutional arrangements. 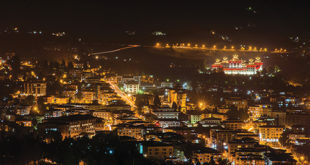 This is because participants pointed out the overlap of mandates between Ugyen Wangchuck Institute for Conservation and Environment (UWICE) in Bumthang and Renewable Natural Resources Research and Development Centre (RNR-RDC), Yusipang, in terms of conducting forestry related research. Therefore, the conference discussed that there are options for consolidation of these two research institutes. Some felt that consolidation would lead to more effectiveness, while others were of the opinion that these two institutes have clear mandates and foresaw no clear benefits from a merger. The option to consolidate UWICE and RDC as one Research Wing was also explored. Finally, the conference resolved that a Task Force Committee will be established that will further look into such issues. The committee will include representatives from all relevant forestry institutions such as Functional Divisions, Territorial Divisions, Parks, Dzongkhag Forestry Sector, UWICE, and RNR-RDC. The committee, which will also try to accommodate officials from other relevant agencies and institutions like the local governments, will thoroughly study the recommendations. The Task Force shall report to its Ministry by end of April next year.